Apple’s latest iPhone might not be the 5 everyone was expecting, but the 4S is certainly faster, cleverer and more usable than before. Despite boasting a new processor, improved camera and a voice controlled digital assistant, for many the fact that the 4S looks the same as the previous model came as a big disappointment. Yep, the iPhone 4 retains the same measurements (115.2 x 58.6 x 9.3 mm) and the excellent 3.5" (640 x 960, 326 ppi) Retina Display as the previous model. Unhappiness about its lack of a new design aside, Cupertino chose to do most of the tinkering underneath the smartphone’s bonnet. This makes for an all-round faster experience, such as in its new dual-antenna design, which allows the 4S to intelligently switch between these to send and receive data. In practice, this translated to significantly faster downloads over 3G, compared to the iPhone 4. Apple also included its A5 chipset, which incorporates a dual-core 1GHz Cortex A9 processor along with a PowerVR SGX543MP2 GPU - the same chipset that does duty on the mighty iPad 2. Although it doesn’t match the frequency of Android-powered dual-core boasting rivals the likes of the Samsung Galaxy SII and HTC Sensation, the difference the A5 makes is no less discernible. Its use has resulted in smoother and noticeably quicker performance whilst navigating the iOS 5 mobile operating system (OS) and when opening, running and closing apps. That said battery life is still not the best though, and will see you having to charge the device at the end of the day (more or less depending on factors such as internet use, calls made, wi-fi active and more). The iPhone 4S’s iOS 5 operating system may look a lot like iOS 4, but there are numerous improvements. This includes the BBM-like iMessage instant messaging service, allowing users to send and receive messages, as well as multimedia content such as photos to other iPhone, iPod touch and iPad users over 3G and Wi-Fi. Unlike BBM though this IM-client isn’t an app which you open, since it involves going to Messages, as you would do if you wished to send an SMS. The phone will automatically pick up if the number you are sending the message to is an iMessage-capable mobile device, allowing you cheaper rates by sending the messages via the data network. Besides iMessage you will also have access to other new functionality including Twitter intergration, being able to access the camera and music player from the lock screen, as well as the enhanced Android-rivalling notification system along with a pull-down bar displaying the weather forecast for your area amongst others. One function that the iPhone 4S sports over any other iOS 5-running mobile device is of course the helpful Siri, an intelligent digital assistant for the smartphone. Voice commands and voice search functionality certainly aren’t new, but Siri’s ability to understand context definitely is. Like most voice-controlled apps, using Siri can be a hit-and-miss affair, but when it works (more often than not), it enables users to speak naturally to the phone as though they are talking to another human being. Unfortunately you need to be connected to the net for Siri to do its business. As flashy as Siri is the iPhone 4S’s new 8 MP rear-facing camera with a new custom lens, a larger f/2.4 aperture and an advanced hybrid IR filter to produces sharper, brighter and accurate images. By employing this snapper we were able to capture more crisp looking, well lit and detailed photos when compared to the iPhone 4’s camera. It certainly is one of the best, if not the best, camera on a smartphone. You are able to use a grid now to help with composition, while on-board touch-up is also possible via a number of post capturing editing tools. The latter includes a cropping tool, red-eye reduction and auto-enhance feature. 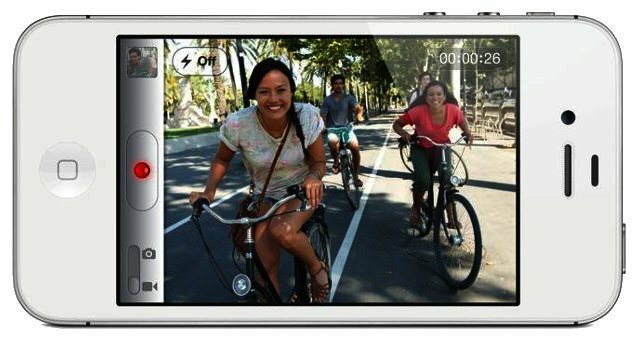 This new camera also allows for the recording of full HD (1080p) videos, putting it in the same video-recording league as devices such as the LG Optimus 3D. Whilst Apple’s new iPhone 4S may look like the outgoing model, its faster CPU, enhanced antenna and new optics combine to make it one of our top 3 smartphones currently on the market. Regarding Siri - it sure is an interesting concept, but we soon lost interest as the novelty faded. 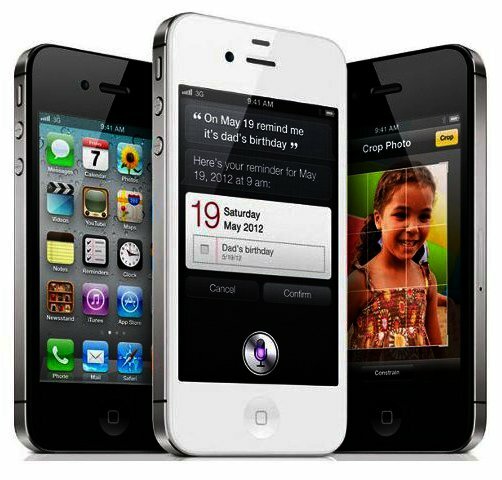 The iPhone 4S comes with an RRP of R7699 for the 16 GB model, R8999 for the 32 GB model and R10299 for the 64 GB model. Thanks to Vodacom for providing us with a review unit. Faster processor, Siri, enhanced optics, full HD video recording, improved antenna design for speedier download speeds. Same design to the outgoing model, gets warm in the hand after extended usage, not the most drop-friendly smartphone available.